Army lost their home opener against San Diego State, 23-20, in Michie Stadium at the United States Military Academy in West Point, NY on Saturday, September 10, 2011. 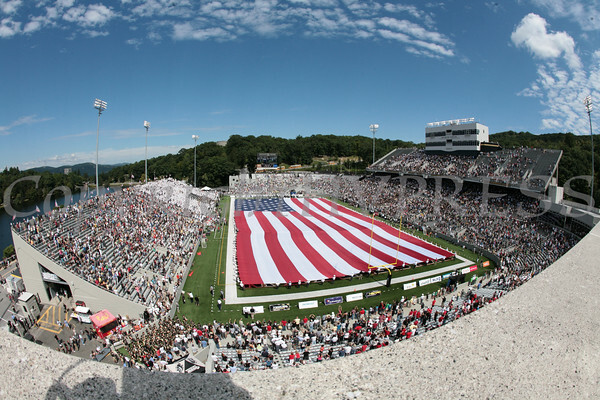 Army Cadets unfurl a large American Flag as part of their "Salute to Heros" during the Army-San Diego State game in Michie Stadium at the United States Military Academy in West Point, NY on Saturday, September 10, 2011. San Diego State defeated Army 23-20. Hudson Valley Press/CHUCK STEWART, JR.